Time: Roughly 30 minutes per window | Tools Needed: To measure - Measuring Tape, Pencil or pen, Measuring Sheet. To install - Roller Blind, Screwdriver, 2 x end brackets, 4 x square head screws, 2 x ball stops, 1 x child safety tensioner & two screws. Roller Blinds are a great option for homes. They are compact, easy to clean, affordable and easy to install. Roller blinds come in a variety of materials and choosing the right combination can ensure your blinds not only look great, but are functional too. There are three main types of material you can select with roller blinds - Blockout, Thermal and Sunscreen. Each option different benefits when it comes to control light, insulation and privacy. Blockout Roller Blinds offer a contemporary look while keeping room private and in the dark! No light can be seen through the blockout fabric which is coloured both sides making either front or back roll great options. 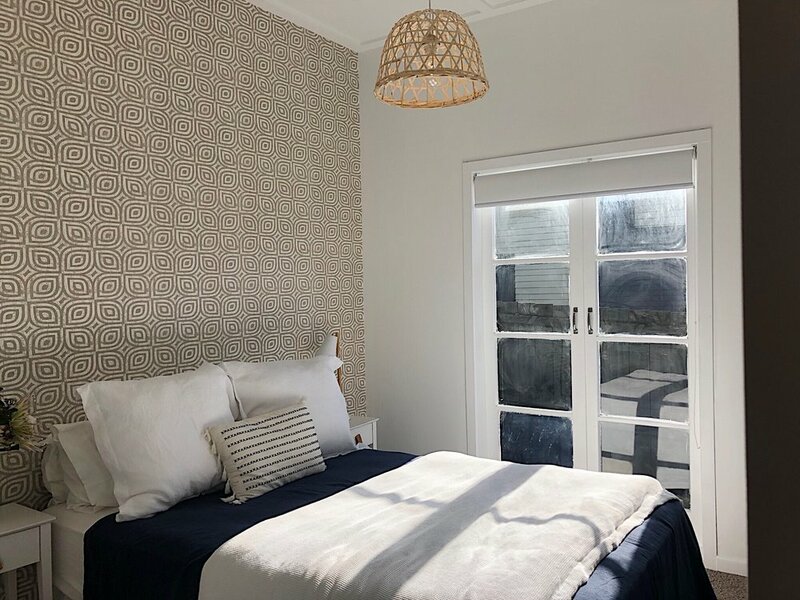 Thermal Roller Blinds offer the same privacy and light controlling benefits as Blockout Roller Blinds while also providing improved heat retention and a softer fabric. No light can be seen through the fabric which has a soft thermal backing making front roll most suitable. Sunscreen Roller Blinds are a great option for living spaces. Blocking out 95% of harmful UV rays, Sunscreen Roller blinds help protect furnishings from fading while still allowing you to see outside. Once you have selected the material then it is time to select the colour. The best way to do this is to order samples of your preferences and see for yourself if it is the perfect addition to your colour scheme. This blog was sponsored by Bargain Blinds. The place where you can get rollers blinds (or any other type of blind) at a bargain price. They offer free samples. Their blinds are handcrafted and custom made in Nelson, New Zealand. Plus their blinds are delivered to your reno totally free. Posted on August 15, 2018 by Alice Pearson and filed under Renovation and tagged blinds roller blinds bargain blinds install how to.